LB is a bilingual Indian feature film which is scheduled to commence filming from March 2019. The movie is aiming to be released in Tollywood as well as in Tamil film industry. The plot of the movie is a modern love story. This movie is visualised and planned as a realistic new wave movie with all the elements of a commercial South Indian feature film. The schedule of the movie includes in India as well as in Australia. The director is an experienced film maker who has gathered a bunch of very talented technicians including cinematographer, assistant directors, production designers, writers, musician and several fresh face actors for this project. Dharmi is a Telugu/Tamil origin woman who is young, educated and ambitious. The story travels and evolves with Dharmi’s life. The script requires Dharmi to be a fluent/native Telugu speaker (ability to speak Tamil also preferred but not mandatory). The film is currently scheduled to start by mid April 2019. The actress will have to be committed to the schedule which includes 4 weeks in Australia and 2 weeks in India (Hyderabad). Production will organise visa, travel and accommodation for the selected actress, if required. We welcome eligible applicants from around the world. Please click on apply button and answer the questions. 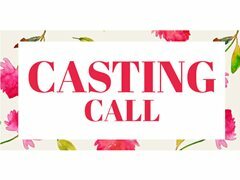 Please include portfolio, showreel or any relevant professional material to support your application. The shortlisted applicants will be contacted to do a video audition.